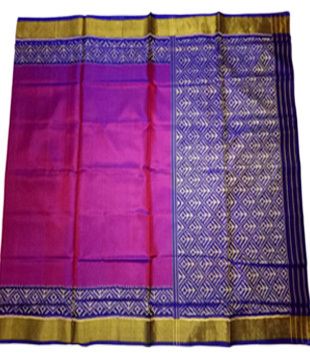 Patolas are hand-woven Pure silk sarees that are created in Patan, Gujarat. The name Patola is derived from the Sanskrit word Pattakulla. 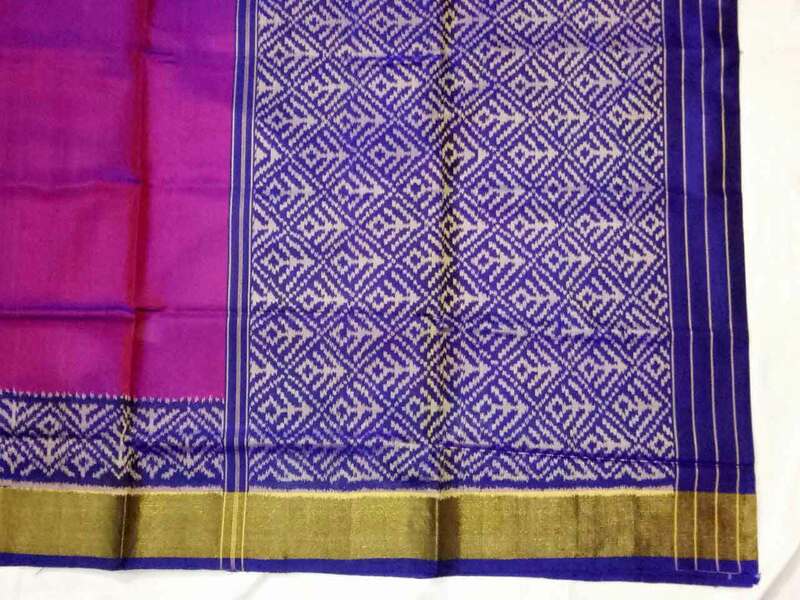 Manufactured by the resist-dyeing process using the warp & weft technique, Patolas are double ikat sarees. Almost three people would take four to six months to weave a Patola, which makes it extremely expensive and time-consuming. The sarees are painted with motifs and patterns inspired from animals and other elements of nature. The craft of weaving them rests exclusively with the Salvi family in Patan who manufacture Patolas for royalty and aristocracy. 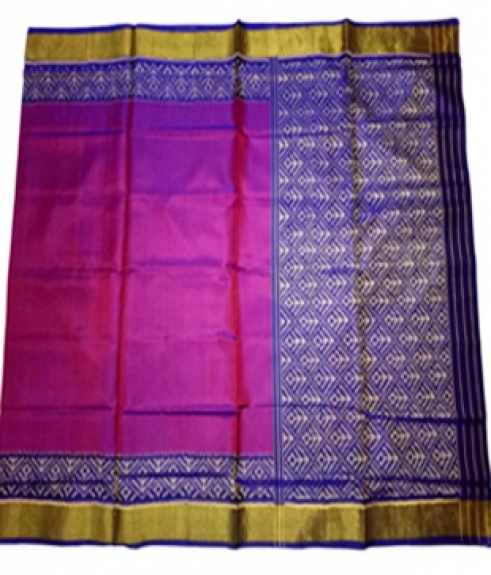 This hand woven Patola Pure Silk Single Ikkat Magenta colored Patola saree is unique by its color contrast and intricate designs. 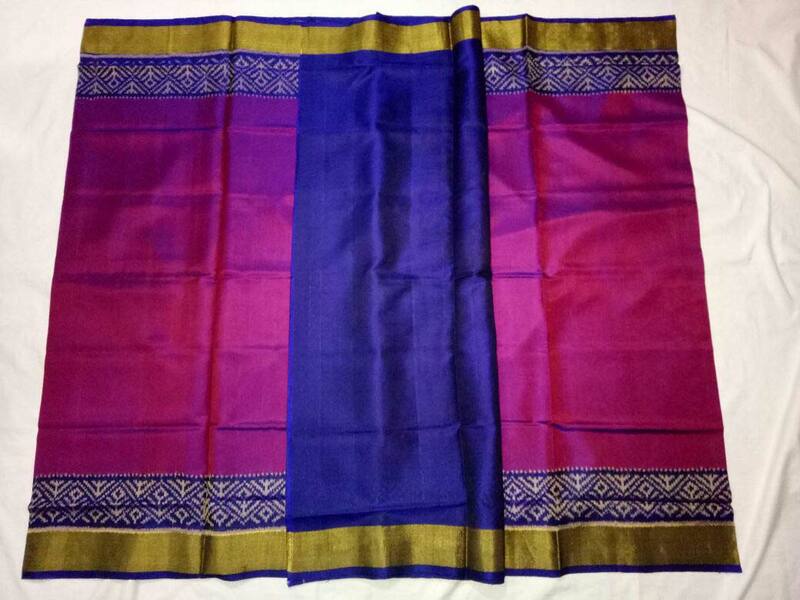 The Silk material of this Handloom saree will feel good across your skin. The border of this saree has perfectly designed patterns which gives the saree an elegant look. This saree has a radiant pallu. 100% natural colors are used for the manufacturing of this Patola Saree thereby giving gorgeous colors to this Handloom saree. Accessorize this saree with jewellery of your choice to look your best.